Jean Chiffony was a late 19th century French artist known for his pastoral and landscape genre as well as dramatic sea scapes. 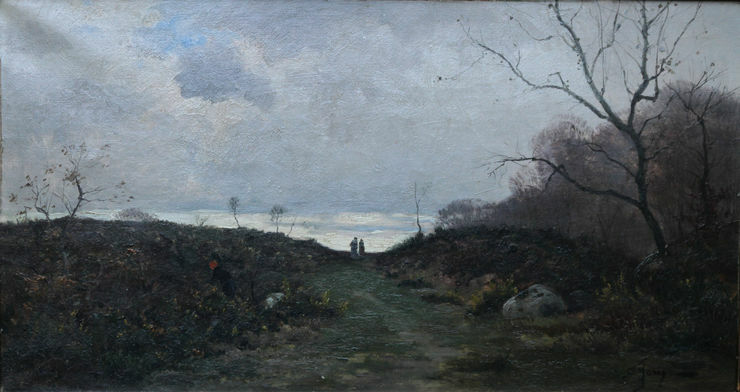 The painting shown depicts a heathland of bright yellow gorse, intersected by a pathway that takes one's eye to the horizon and two figures cresting the hill beneath a vast sky. My guess is that it's late afternoon in early autumn and the closer figure on the left is picking blackberries. A gorgeous painting, one could look at it all day. 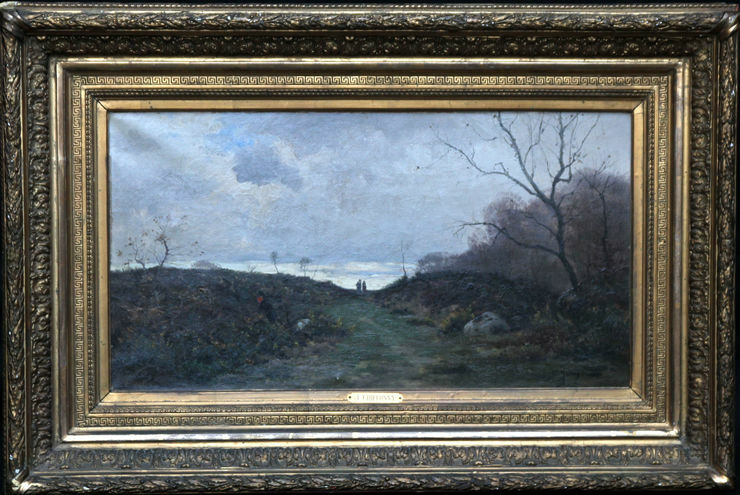 The painting is signed and in its original frame with the artists name on the frame. His works can be seen in collections and galleries from Paris to New York. Framed in original gilt frame, 40 inches by 28 inches. Gallery condition. Jean Chiffony, French artist, flourished late 19th century. He painted landscapes, genre, marine and figurative works in oil. He loved to depict the effects of light, be it a dramatic stormy sky such as in his seascapes, or the softer dappled light through trees of his landscapes. His works have been sold at various auction houses.